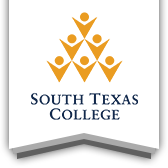 The STC Library purchases a wide range of materials to support the current and anticipated academic and technical curricula of the College and the personal and professional growth of our users. Selections of library materials are made jointly by librarians and faculty. Faculty members are strongly encouraged to participate through the liaison program in shaping the library’s subject collections. In addition, all users are invited to submit requests via the Library Purchase Request form. Selectors consult available critical reviews; professional and trade journals; subject-area bibliographies; publishers’ catalogs; and promotional materials as part of the selection process. Requests from faculty and students are also an important source of recommendations for selectors. Due to budget and space considerations, the purchase of duplicate items for the same campus library should be limited to instances where the demand justifies this duplication. Popular Fiction having short-term interest among readers is generally not purchased, however, established literary works and new works receiving critical literary acclaim are considered, especially those that support academic programs. Where funding permits and where possible, leasing arrangements will be used to address user interest in popular fiction and bestsellers in general. The Library will continue to explore available options for improving collection development through programs such as patron-driven acquisition and leasing where these provide cost effective ways to leverage Library resources and further tailor acquisitions to the needs and interests of our users. Serials, including journals, magazines, and newspapers (periodicals) are publications issued in successive parts bearing numeric or chronological designations and intended to remain in publication for an indefinite time. The Library collects serials in print and electronic form. Serial print subscriptions require a continuing commitment to the cost of the title, including maintenance and storage. Journal back-files or archives are stored indefinitely as space permits. Magazines and periodicals are kept for limited times depending on the frequency of publication. Generally, newspapers at all campuses are kept for two months and magazines are kept for no more than one calendar year as space permits. In addition to print subscriptions, the Library provides access to an extensive collection of serial titles through online subscription databases. Subscription databases provide access to serial publications throughout the College district as well as to distance education students and faculty. Additionally, these resources do not require the same level of maintenance and storage accommodations that print serial subscriptions do. Accordingly, in evaluating recommendations for serials subscriptions, the Library will first investigate whether the serial title requested is available through an existing subscription database. Acquisitions of a serial title in electronic form will be preferred unless there is a justification for adding the title as a print subscription. Due to budget constraints and changing use patterns, the Library may discontinue a print title, especially where the title is already available electronically through an existing subscription database and previous serial usage surveys indicate that the print title has not been consulted by users throughout successive semesters. A decision to discontinue a serial title will include, as appropriate, advance consultation with the pertinent Library liaison and academic department. With the growing availability of research materials, including books and serials, in electronic form and the versatility and adaptability of this format to the distributed and virtual reach of the College, the Library maintains access to a collection of electronic resources. A critical consideration in the evaluation of any electronic resource is the licensing agreement associated with the resource. Unlike print books, whose circulation and use is governed by established rules of copyright, the availability and use of commercial electronic materials is usually governed by a licensing agreement. In evaluating an electronic resource, Library staff will review any applicable licensing agreement to confirm that it provides reasonable terms for the academic use of the electronic resource. Other terms of the licensing agreement will also be reviewed with an eye to modifying unfavorable provisions such as unreasonable restrictions on the use of the electronic resource, the application of out-of-state laws, or the establishment of venue in another state. Where an item is available in both print and electronic form, selectors will opt for the electronic version unless there is reason why the print version would be more appropriate. Both an electronic and print copy may be selected where there is an independent justification. a trial will be arranged, where possible, to enable evaluation of the resource by faculty, staff, and other Library users. the link will be posted on the trials section of the Library’s website with a request for feedback. an announcement of the trial and an invitation for feedback will be made to the Collection Development Advisory Committee and to academic departments through the pertinent Library Liaison(s). Subscription databases will be kept for as long as these resources serve their purpose and the budget allows. A decision to discontinue a database will be made based on usage statistics and cost and will be made following consultation, as appropriate with the pertinent Library Liaison and academic department. The Collection Development Advisory Committee is responsible for providing advice and recommendations to the Library to help all STC libraries meet the needs of faculty, students, staff and community by providing materials (print and non-print) necessary to meet their educational and leisure goals. The Collection Development Advisory Committee is composed of a selected cross section of faculty members and Library staff members who serve as Library Liaisons. The Committee meets at the beginning of the academic year and as circumstances require. The Committee discusses general plans for collection development and serves as a sounding board for ideas and recommendations for the acquisition of materials intended to enhance the curriculum of the College. The Committee serves as a vehicle for maintaining lines of communication between faculty and the Library regarding collection development. The Collection Development Library Liaison Subcommittee is a subcommittee of the Collection Development Advisory Committee responsible for ensuring that all STC libraries meet the needs of faculty, students, staff and community by selecting materials (print and non-print) necessary to meet their educational and leisure goals. The Collection Development Library Liaison Subcommittee is composed of library staff members who serve as Library Liaisons. The Collection Development and Acquisitions Librarian will coordinate Library Liaison collection development activities and supply guidance, training, and support as needed to assist Library Liaisons in performing their selection and collection maintenance duties. An essential element of collection maintenance is the systematic removal of items that are no longer valuable. This includes items that are outdated, inaccurate, damaged beyond repair, or otherwise a poor fit for the collection. Faculty members are encouraged to assist with identifying outdated or inaccurate materials in their areas of expertise. An evaluation of resources that are missing, lost, or withdrawn will determine if these items are still valuable to the collection and should be replaced. The “years since published” criterion below is a general rule to identify candidates for deselection. The number of years used is approximately double that used in the CREW weeding manual so that the collection is not compromised by very aggressive deselection. An “ ” means that items in that category can remain on the shelf as long as they’re fit to circulate. In any case, the Library Liaison completing the deselecting, will determine with respect to each item, in consultation with faculty where appropriate, whether the material is outdated and/or inaccurate or if the item is damaged beyond repair. Agriculture over 20 Developments may render some works obsolete sooner. Bibliography & Library Science over 20 Developments may render some works obsolete sooner. Biology over 20 Developments may render some works obsolete sooner. Business & Economics (BAT-TMGT) over 10 Business directories and almanacs become obsolete sooner. Children’s Materials Keep as long as the item is fit to circulate. Communications over 20 Developments may render some works obsolete sooner. Computer Science (BAT-CIT) over 10 Developments may render some works obsolete sooner. Creative Arts – Fine Arts Keep as long as the item is fit to circulate. Creative Arts – Music Keep as long as the item is fit to circulate. Criminal Justice & Law over 10 Developments may render some works obsolete sooner. Development English, Reading & College Success Keep as long as the item is fit to circulate. Development Math over 20 Replace books that focus on outdated teaching methods. Education over 10 Developments may render some works obsolete sooner. English Keep as long as the item is fit to circulate. Foreign Languages & Humanities Keep as long as the item is fir to circulate. General Works over 20 Print encyclopedias become obsolete in about 5 years. Government over 10 Developments may render some works obsolete sooner. Health Sciences over 10 Developments may render some works obsolete sooner. History Keep as long as the item is accurate and fit to circulate. Kinesiology & Physical Education over 20 Developments may render some works obsolete sooner. Math over 20 Replace books that focus on outdated teaching methods. Military & Naval Science Keep as long as the item is fit to circulate. Philosophy & Religion Keep as long as the item is fit to circulate. Physical Sciences over 20 Developments may render some works obsolete sooner. Psychology over 20 Developments may render some works obsolete sooner. Social Sciences – Anthropology over 20 Developments may render some works obsolete sooner. Social Sciences – Sociology over 10 Developments may render some works obsolete sooner. Technology over 20 Developments may render some works obsolete sooner. The Library Liaison will also determine if an item has circulated within the recent past. Generally, if an item that is otherwise a candidate for deselection has not circulated in the past three years, it should be considered a strong candidate for removal. Certain item types that deserve special consideration for retention include quote books, books on the history of a given discipline, works that impart timeless advice, biographies, classic works, award winning books, and case studies. Library Services appreciates the good will of potential donors. Library Services normally does not accept donations of books and other library materials except in special cases involving the unrestricted donation of items determined by Library’s professional staff to be of unique value to the Library’s collections. Such unrestricted donations of books and other library materials are gratefully accepted with the understanding that items that do not meet the criteria described in the Materials Selection Guidelines may be disposed of as deemed appropriate by the library staff. Gifts to Library Services become state property and cannot be returned to the donor. No conditional acceptances will be made, i.e., to be returned to the donor if already owned. Items received as gifts will be subject to the same criteria that govern the selection and processing of new purchases. The Library will determine the classification, housing, and circulation policies of all gift items. The Library retains the right to dispose of duplicates and unneeded materials as it sees fit. Donations to Library Services may be considered charitable contributions for tax purposes. The Collection Development and Acquisitions Librarian may issue a letter of appreciation that is an official receipt and can serve as a tax statement for use by the donor. The Tax Reform Act of 1984 forbids libraries from appraising gifts. Donors are responsible for the appraisal of gift materials. IRS Publication 526, Charitable Contributions, contains the pertinent tax rules and is available from the IRS. Library Services will only accept donations of appropriate materials for the collections. Magazine and journal gifts will only be accepted to fill gaps in Library holdings. Other materials and formats may be accepted as gifts with advance approval from librarians. Some items that ordinarily would not be purchased may be accepted as gifts. Art work may also be accepted, provided it meets the same criteria that govern the selection and processing of new art purchases. Library Services will not accept textbooks unless they are supplied by faculty in connection with course work or are authored by faculty. Library Services will not accept books in physically poor condition, individual issues of periodicals, incomplete volumes, or duplicates of periodicals already owned. Anyone interested in making a donation is encouraged to contact the Collection Development and Acquisitions Librarian at (956) 872-2323 to discuss the matter. The Library is committed to freedom of information. In selecting materials, the merits of the works and the need for the material in the collection based on whether the material supports the current and anticipated academic and technical curricula of the College and the personal and professional growth of our patrons are considered. Users are free to choose what they find useful from the collection and ignore what does not support their needs or interests. Library selectors make an effort to present various points of view on controversial subjects so as to develop a balanced collection. That the Library includes an item in the collection does not mean that the Library or the College endorses any theory or statement contained therein. The Library welcomes the thoughts of users on the quality, balance, and responsiveness of the collection. Approved by the Library Collection Development Advisory Committee and adopted by the Library Administrative Team in September 2012. Updated January 2018.